WASHINGTON (CN) – The D.C. 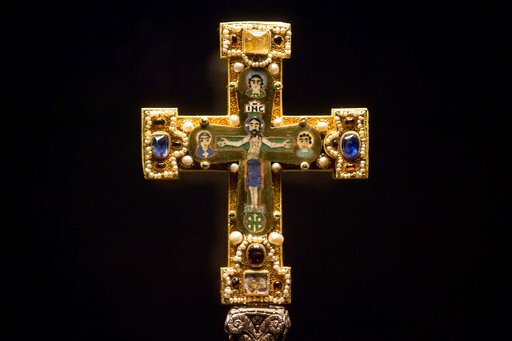 Circuit appeared inclined Wednesday to advance claims that the Nazi government swindled Jewish art collectors out of a prized treasure in 1935. 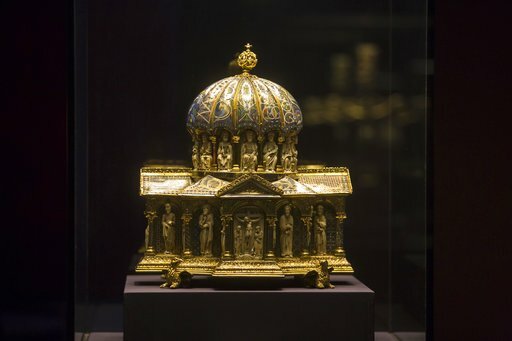 Known as the Guelph Treasure or the Welfenschatz, the set of medieval German relics dating as far back as the 11th century first came into the hands of a group of Jewish art dealers in 1929. By 1931, the group sold about half of the collection, mostly to museums and people in Europe and the United States. Adolf Hitler rose to power in Germany another two years later, however, and the group agreed in 1935 to sell the Guelph Treasure to a state-owned bank, using the proceeds of the sale to pay back their investors. But the descendants of the art dealers say this sale was not a square deal, and that the dealers were forced to accept pennies from a government intent on exterminating the Jewish people. First the descendants petitioned a German advisory commission to return the art and they filed suit three years ago in Washington, D.C., when that effort sputtered. Brought on behalf of three of the dealers’ descendants, the complaint claims the artwork should be returned because the sale was coerced and part of the systematic exclusion of Jews from the economy, even if it took place before concentration camps came into operation. Germany and its government agency, the Prussian Cultural Heritage Foundation, have thus far been unsuccessful in having the case dismissed. Arguing on their behalf Wednesday, Wiggin & Dana attorney Jonathan Freiman told a three-judge panel of the D.C. Circuit that the descendants have failed to show that the purchase had a close connection to genocide. Far from the brutal acts the Nazis would perpetrate later in their rule, the 1935 sale involved extensive negotiations and the art collectors received millions in exchange for the treasure, Freiman argued. “These are not things you do if you are taking property in an effort to commit genocide,” Freiman said. Freiman explained that, even if the dealers were coerced into making the sale and took a hit to their livelihood as a result, that is not the same as genocide. To hold it is, he said, would “eviscerate” the narrow exemption Congress intended to carve out. But the judges appeared troubled by Freiman’s insistence that they should set the 1935 art sale apart from the larger horrors of the Nazi regime. “That seems to me to be turning a blind eye to what was taking place in Nazi Germany,” U.S. Circuit Judge Thomas Griffith said. Freiman also said U.S. foreign policy encourages people bringing claims involving Nazi-looted art to do so through special international mechanisms set up for that exact purpose. Allowing the case to go forward in a U.S. court would run counter to this intention, he said. But U.S. Circuit Judge David Tatel pushed back, bringing up a law Congress passed in 2016 that extended the statute of limitations on Nazi art claims. “Why would Congress extend statutes of limitations just like this if it thought litigation like this was contrary to U.S. foreign policy?” Tatel asked. Nicholas O’Donnell, an attorney at the Boston firm Sullivan & Worcester who argued for the descendants of the art dealers, picked up on some of the themes the judges presented in their questioning, saying the below-market sale was part of a “vast scheme” to deprive Jews of their livelihoods. Once Hitler became chancellor in 1933, this scheme became the Nazi government’s goal. “The Nazi regime cannot be parsed and divided into its genocidal and non-genocidal components,” O’Donnell said. O’Donnell told the judges that this case would have no hope if pursued in a German court and that Congress clearly intended plaintiffs to pursue their claims in the United States. Tatel, however, brought up the court’s decision in De Csepel v. Republic of Hungary, a recent D.C. Circuit case that found Hungary did not have to face very similar claims because there was not enough of a commercial connection between the property and the United States. Tatel wondered how the claims against Germany could go forward in light of the court’s previous decision.